The HRP-4 robot unveiled by Japan’s National Institute of Advanced Industrial Science and Technology (AIST) in its new humanoid creation makes the previous Core Bipedal Robot I just wrote about already look a little rusty. Check out the video to see this fantastic robot in action. 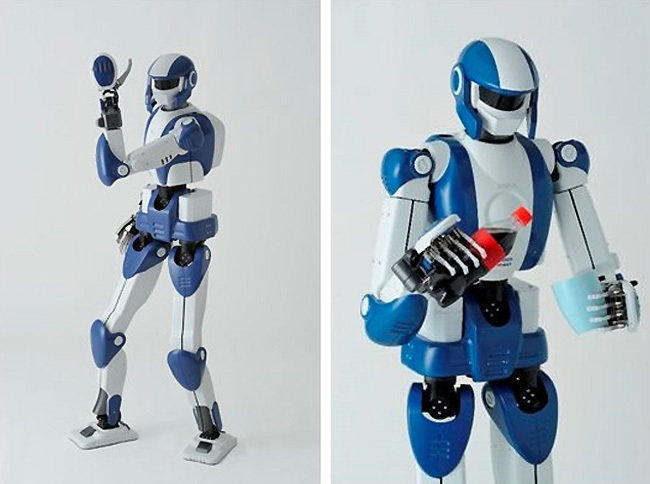 Created in partnership with Kawada Industries, this 151-centimeter (5-feet) tall, 39-kilo (86-pound) walking followup to the HRP-4C, HRP-3 and HRP-2 robots. The HRP-4 has been designed to help with manufacturing duties in a rapidly aging Japanese workforce. The highly mobile HRP-4 features 34-degrees of movement with AIST proprietary control software running on a Linux core.